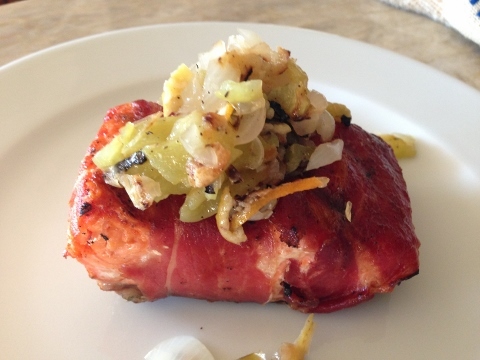 Prosciutto Wrapped Salmon with Grilled Lemon & Cipollini Onion Chutney - Recipe - Live. Love. Laugh. Food. 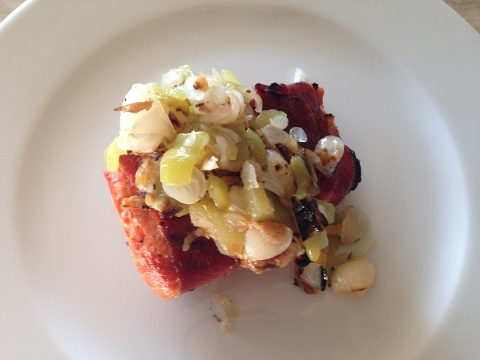 Grilled Salmon is a family favorite and I am always trying to drum up new ways to cook it. 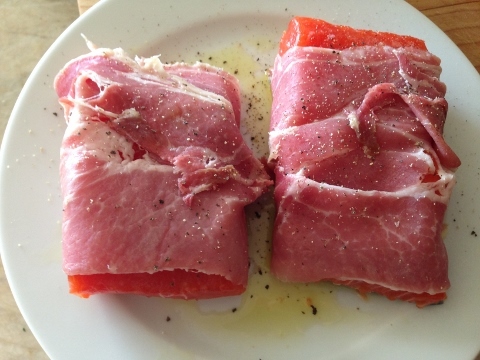 I love prosciutto and wrapping a fresh piece around the salmon creates a crunchy salty exterior that enhances the fresh moist fish. 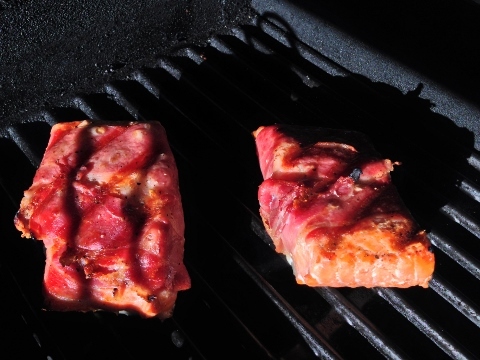 Grilling fish is sometimes tricky but, the prosciutto holds the fish together so it makes it easy to flip. 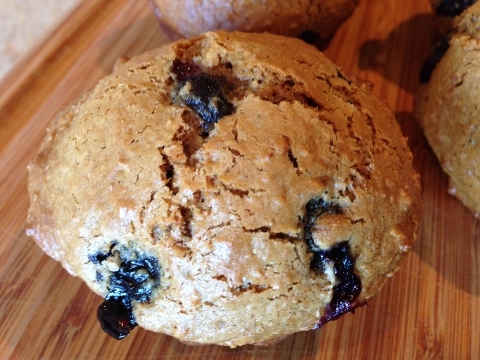 Lemons are great to grill for summer meals. The tartness of the lemon boosts flavor in vegetables and meats and lemons can resemble saltiness without adding salt. Grilling outdoors is a great alternative when it is way too hot to heat up the kitchen and grilled fish — nothing better. 1. Heat grill to 375 degrees. 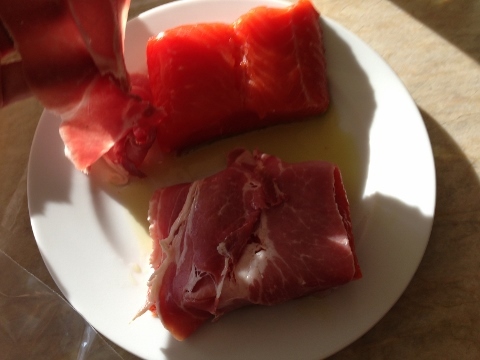 Wrap one piece of prosciutto around each piece of salmon and drizzle with olive oil. Set aside. 2. 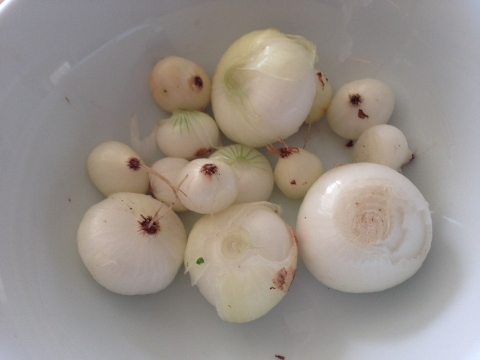 Next, remove skins from cipollini onions, slice lemon very thinly and slice pepper in half and remove the seeds. 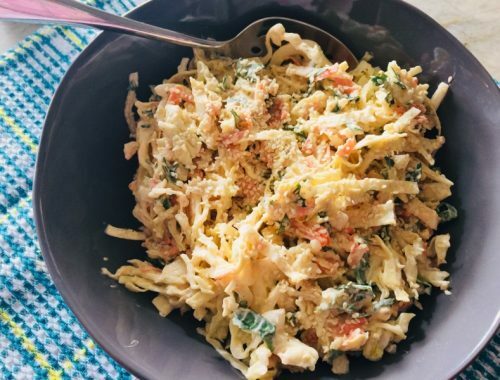 Drizzle the lemon and veggies with olive oil and toss with a pinch of salt and pepper. 3. 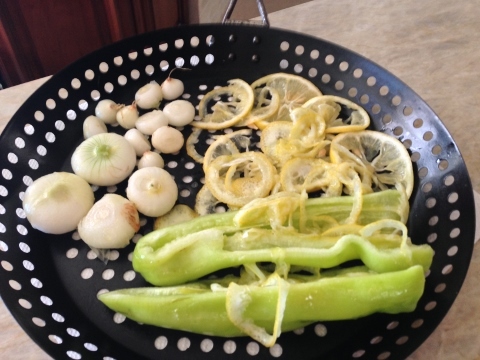 Place the lemon slices and veggies in a grill pan. If you don’t have a grill pan you can use heavy duty foil punctured with a few holes to allow charring. 4. Place the fish fillets and grill pan of veggies on the grill and cook for 10 minutes total. Flip the fish over half way through cooking and remove from the heat. 5. 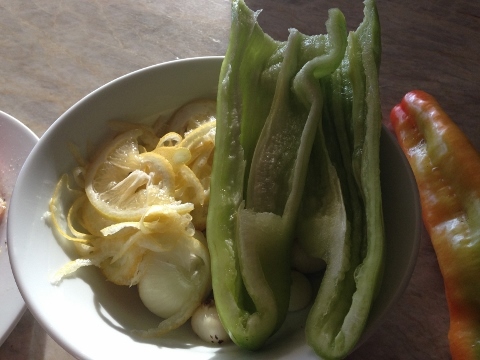 Remove the charred exterior skin from the pepper and chop the veggies and lemon into coarse pieces. 6. 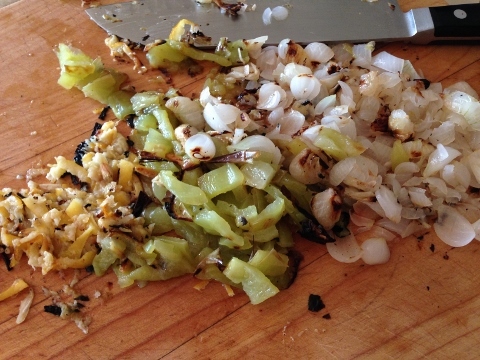 Salt and pepper the chutney (veggies) to taste and drizzle in 1 tablespoon of olive oil. 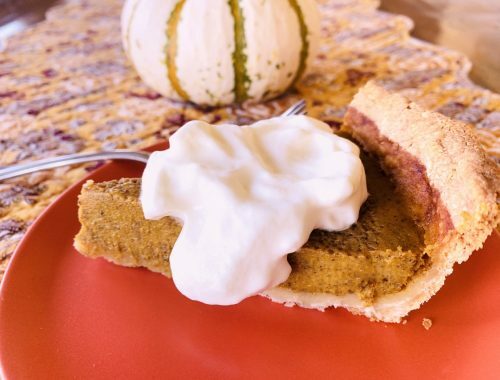 Stir the chutney to combine the flavors. Place 1 piece of salmon on each plate and top with a large spoonful of chutney. Enjoy!